The Netgear NTV550 HD media player accompanied by its slim profile remote offers great media cataloging functionality. 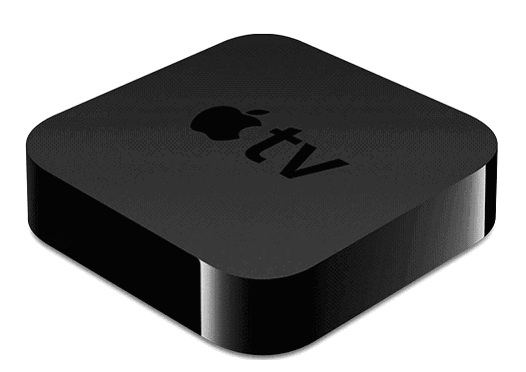 I guess I have my cousin to thank for my interest in streaming TV media players. Seeing a box next to his HDTV that was too small to be a cable box or set-top satellite box, I asked what it was. It was then that I learned about media players and the programming they can provide. I decided to dig deeper and learn more about these streamers, in particular the Netgear NTV550 HD media player, which my cousin couldn’t stop raving about. Not being a technical person, I always get a bit skittish setting up electronic devices. Even when I saw that the connection instructions for the NTV 550 were only three quick steps, I was still a bit apprehensive because often times those simple steps turn into hours of aggravation. But I couldn’t be more pleased with how easy it went setting up the NeoTV 550. I timed myself and it took only five minutes to connect the media player to my TV and router. It was simply a matter of plugging in the proper cables to the correct outlets and since the front and back of the Netgear streamer is so well labeled, I had no troubles at all.You can connect the media streaming box to your TV using either an A/V or HDMI cable. Next, connect the Ethernet cable to your router. Finally, connect the power and turn on the power button on both the media player and your TV. Once you do, the NeoTV Setup Wizard appears. Be prepared to do some configurations, like selecting your language, selecting location, verifying the sound connection, selecting video mode, and searching and selecting media servers. This setup is necessary so the streamer can find your media files on your network, e.g., your PC or Mac, storage drives, mobile device, etc. If you have any problems configuring your media files, use the Netgear Resource CD, which is included with the device. It contains a Configuration Wizard that walks you through the steps of configuring your PC or Mac to share media files so you can access them with the NeoTV 550. It also contains software so you can operate and manage the Netgear player from your PC or Mac. The Setup Wizard was easy to navigate and configurations when smoothly. I also liked that once the wizard was finished, it brought me to the Main Menu so I could begin using my NTV 550. The NeoTV Main Menu is your starting point to access videos, music, photos, Internet media and movies on demand, or to browse your media folders. The Netgear NeoTV 550 is similar to Blu-ray and HDTV players in that it allows you to view on your TV your personal library of media files stored on your computer or other devices. But the Netgear media player performs in a much more organized way than other players. For example, with any media files the NeoTV finds, it automatically organizes them under the applicable Main Menu category. The Main Menu of the NTV550 Ultimate HD Media Player nicely displays the array of options of what you can do with the streamer. Use the Video menu selection to watch videos, the Music menu to listen to music and the Photos icon to view photos. The Browse folders menu allows you to look through your folders to find the type of media you want to watch or listen to. With the Internet Media menu, you can watch YouTube or RSS videos, access your local weather and news, view Flickr photos, or listen to Internet radio. The Movies on Demand menu should allow you to stream TV and movies. I say should because this is where the most controversy lies with this media player. Currently, you are not able to access the major online streaming services, like Netflix, Hulu, Vudu, etc. This Netgear media player has been on the market for awhile, so I’m not quite sure what the delay is in providing these apps. Finally, the Settings menu is for viewing and changing system functions. 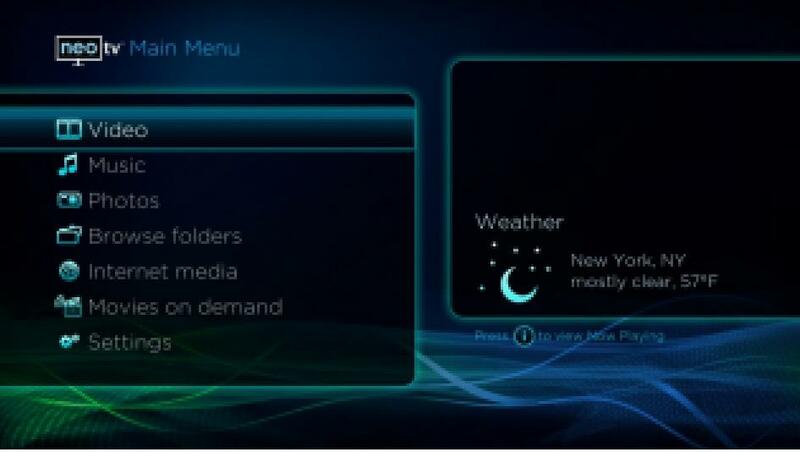 There are additional popup menus within each main menu selection for accessing additional features or controls. A convenient feature is the onscreen keyboard, which intuitively appears only when there is a field where you can type in information. 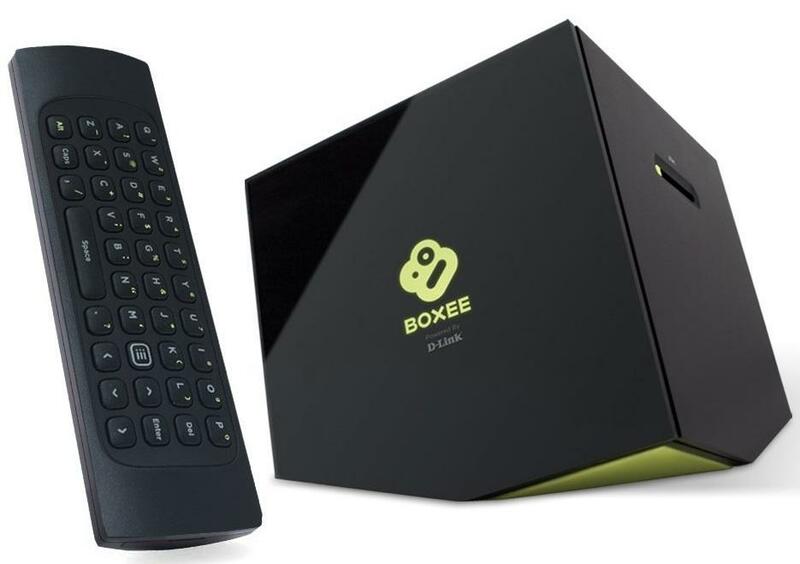 It contains all the features of a regular keyboard and you can also use corresponding buttons on the remote control to perform certain functions. The remote, by the way, is brilliantly designed. It’s full size and has a navigation wheel, a numeric keypad and all the video and audio playback controls you can want. There are nice extras, too, like quick access to settings and a time-seek button. Because it supports so many different file formats, the NTV 550 digital media player is best used to organize and catalog media files so you can play them on your TV screen. With it, you can access movies, photos, music and other media files stored on your PC, Mac, SD cards, USB drives, or other network storage devices. You can also download content from noncommercial sources. It’s very easy to play media from another device because the streamer instantly recognizes it. You then have the option of adding your media files to the NTV550 media library for quick and easy future access using the streamers Live Browsing feature. Netgear also did a nice job in offering numerous playback settings. I particularly like the various transition effects available for creating slideshows and being able to play YouTube videos on my TV using the full screen size option. The Netgear NeoTV NTV 550 is manufactured by Netgear, a San Jose, California based company that is a worldwide provider of networking products. 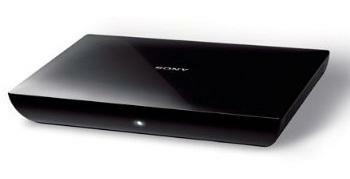 The media player measures 1.5 inches high, 17 inches wide and 10 inches long. It weighs 4.4 pounds. The front view of the Netgear HD TV media player has well labeled outlets. The back view of the NTV550 shows the many outlets and connections, much more than most other media streamers. The front of the NeoTV 550 player includes the on/off switch, the spot for aiming the IR remote control, a USB port and an SD card slot. The back of the streamer is loaded with ports and connections, including another USB port, RCA components, A/V output, HDMI, S/PDIF, eSATA, Ethernet and the Power and Reset buttons. Its three audio decoders run at 400 MHz and it can process video at 60Mbps. The media player also supports macromedia and Blu-ray, however there is no internal storage. The Netgear media device is equipped with an Ethernet cable connection only; there is no Wi-Fi capability. The remote control uses infrared technology, but is not backlit. 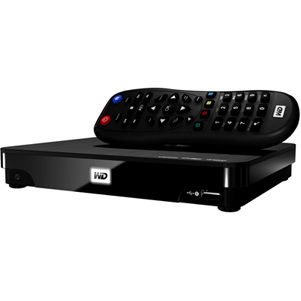 The NTV550 HD Media Player is at its best bringing all the media files stored on your other devices to your HDTV. For example, whether you connect an SD card, eSATA drive, or USB, the NeoTV will scan it and catalog all your videos, music and photos together. Then you can view them in arranged lists by whichever method you prefer, such as by artist name, genre, or some other description.The Netgear Tag Tool gets the credit for the exceptional cataloging. It allows you to add metadata tags to your media for easy and more efficient browsing. The best part of the tagging functionality is being able to use video cover art and associate it with the corresponding video using a JPG file. You have the same capability with music album cover art. If you happen to have a media library on numerous hard drives, the Neo 550 is the perfect device for cataloging them. 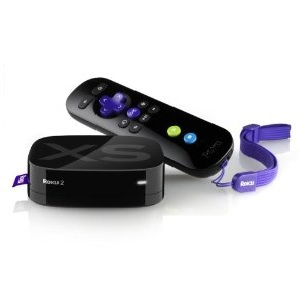 It also helps in replacing your DVD by converting them to ISO video format and playing them on the Netgear streamer. What’s nice about the NTV550 is that it’s among the few that supports full ISO and Blu-ray menus and their special features. 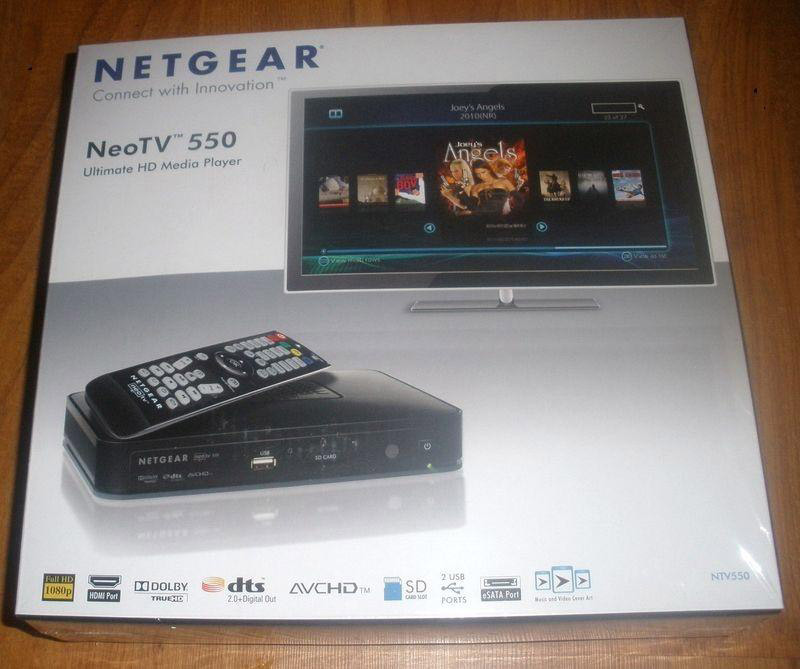 The retail packaging of the Netgear NeoTV 550. The Netgear NeoTV 550 retails for $257.00, however since Netgear has released a newer model of this item, you can purchase the NTV550 for much less than the list price. For example, Amazon is selling it at $79.99, which is a savings of $177.01. Other prices around the Internet range from $150.31 to $229.99. Some sites have the list price as $199.99, a nearly $60 drop from the original retail price. Reviews are mixed about the Netgear NTV550 and I think it has to do with the difference in how people are using the streaming player. This NeoTV version shines when it comes to streaming local or network content, but it has its misses with streaming online entertainment programming providers like Netflix, Hulu, etc. It appears that people are tiring of the delay in Netgear updating the firmware to include these services. However, all user comments point out that the NTV550 hardware is outstanding. Here’s a look at some customer reviews from Amazon.com, which has the largest compilation of user comments regarding this device. Although you are unable to buy the NeoTV 550 media player directly from the Netgear website (http://www.netgear.com/home/products/hometheater/media-players/ntv550.aspx), it does provide links to recommended sources. At the top of the list is Amazon, which I absolutely recommend because it has the lowest price to date.Other Netgear suggested buyers are Rakuten.com, Newegg and J&R Music and Computer World. A price comparison search returned other options with prices that ranged from $171.00 from Nu Image Corporation to $229.99 from Xtreamer. Because of the wide price differential on this product, I would strongly recommend checking out various online electronic stores or using a price comparison site to find the lowest price. If you don’t have the time, I would go with Amazon because so far it has the lowest price. Plus Amazon ships for free and has a generous return policy. I always find the best and most comprehensive reviews on Amazon.com. And you will find nearly 50 customer reviews to date on Amazon from people who have purchased the Netgear NeoTV NTV550 and are using it. I particularly like how people update their Amazon reviews after they’ve had a chance to use the product extensively. I don’t think any other review site gives buyers that option.Besides Amazon, you can also find some good reviews from online electronic stores and the websites of retail stores that sell the Netgear streamer. These are identified through a search using the browser of your choice.